What do you think might have crossed Musa Ibrahim's mind when he first set foot for the monumental Everest Expedition? “Can I do it?” or “Do I have what it takes?”, such questions might have erupted within him, might have not. However, to us they did not. 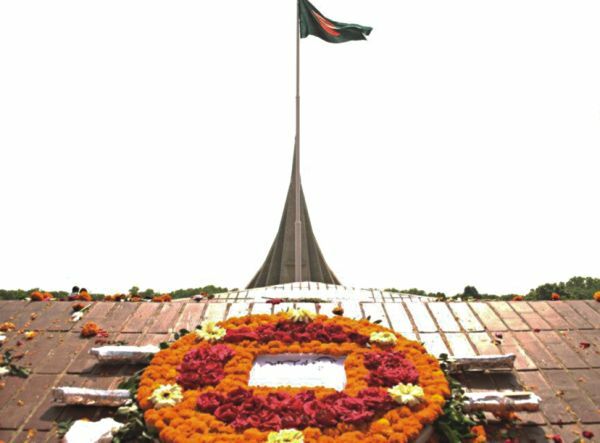 Even though we had such qualms about our physical perseverance, we never had any doubts about our resolution- visiting the National Martyrs Memorial at Savar from the Central Shaheed Minar on bicycle on March 26, 2012. 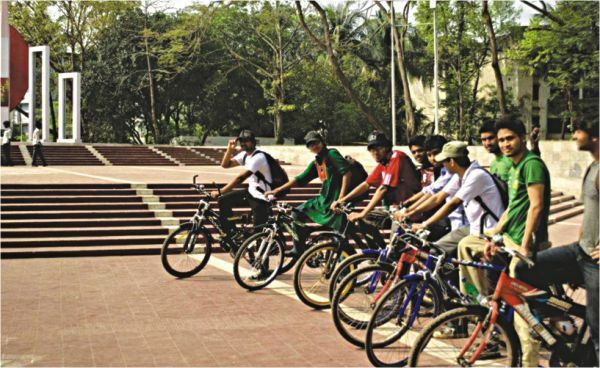 The bicycle rally was organised by Engineering Students Association of Bangladesh (ESAB). Muktijuddher Golpo Shono and Vromon Bangladesh were co-organisers. The purpose of this event was to commemorate our Independence Day and the valiant martyrs. The day started off like any other day. The only exception was that we had to wake up early at around the Fazr prayers, get dreseed and rush to the meeting point. Armed with only a bicycle and some emergency kits, each of us arrived at the Central Shaheed Minar within 8:00 a.m. After having breakfast we fixed petty bicycle problems, managed first-aid kits and finalised our route. First few kilometers were within the bounds of the busier sections of Dhaka City. As we passed the Mirpur road, the traffic thinned gradually. Keeping safety issues on mind, we continued to maintain a single line formation and a steady speed even when we got onto the free highways. All of us were avid cyclists, but we had never undertaken such lengthy endeavors before. It was thus not surprising that after about 12 kilometers, with the sun blazing overhead, the heat became unbearable. We took another short break as we have been taking during the journey. However, this time it was more about self-assertions. while sipping soft drinks, we analysed each other's faces. More noticeable than the lines of perspiration and the early signs of exhaustion was the look of determination. As the distance between us and the destination closed in, our energy soared higher. Crossing the Jahangirnagar University, we paddled harder. At 12:30 pm, we straddled at the entrance. There it was--the stalwart Jatiyo Smriti Soudho standing before us with radiance! Once inside, we placed our garland from ESAB on the Memorial and saluted the martyrs. Moments passed as we realised our cherished freedom only came through sacrifices of the millions. Our exhaustion evaporated away as we stood in front the historical landmark and took in the subtle whiff of freedom. Later on, we cycled back to Jahangirnagar University, ate lunch and took our way back home. On our way back, a question occupied our thoughts. If we felt so accomplished through such a small gesture, how did the martyrs feel when they dedicated their lives? We give a million salutes to all our freedom fighters. Obak Prithibi--a book by young author Ronok Ikram is a book about nature's mysteries, which mesmerised humans throughout the ages. Though relatively new in the world of writing, with his perceptive narrating style, Ronok has explained a lot of complex issues in very easy language. 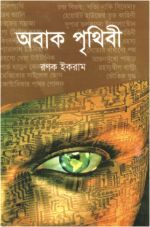 The book Obak Prthibi will provide its readers with insights about some of the most mysterious issues which have boggled human minds from time to time and led scientists and historians to embark on quests to resolve the unknown. The book contains numerous chapters dealing with a wide range of issues starting from mysteries related to building of pyramids, true identity of Robin Hood, existence of mermaid, what happens in afterlife, to the paradox of parallel universe. Each chapter of the book comes with images related to the topic. On the downside, there are some spelling mistakes and repetitions of same paragraphs. Nevertheless, because of its extraordinary substance and wonderful writing style readers of all ages who have a thirst to know the world better, would find the book to be a very good read.